Bad timing and First World Problems…. My period was due on Saturday last week, but it still hasn’t come. I’ve been diligently doing my pregnancy tests like the specialist said, and definitely not preggers. I’m fine with this now, but just keen to start the next cycle as you can imagine. However – we may have one expensive, awkward and frankly annoying hitch for the next cycle, along with possibly the funniest ‘First World Problem’ that you’ll hear all day! It’s now Thursday and I have a feeling that my period is coming today. You know the drill – warmer than usual, mild cramps, bloated and just feeling ‘off’. Once I get my period, I start Letrozole on day 2 to induce ovulation, then go for a scan on day 11 to see if its working and how many eggs are coming. My husband is off to the south of France for work from 10-13th March. Let’s do the math…. – Then I will probably ovulate on Thursday 14th March – WHEN MY HUSBAND IS AWAY!!!! I could fly out to spend a couple of days with my husband if I absolutely had to – but the flights will be veeeeeeery expensive, as its last minute and probably one of the most expensive regions in Europe – BRILLIANT!!! I can’t quite believe I’m complaining about possibly having to spend a couple of days in the south of France (what a nightmare eh?!) but it’ll cost a bloody fortune and I feel bad having to interrupt my husband’s schedule when I know he’ll be busy out there. I’m now checking my knickers like a mad woman every time I go to the loo – PRAYING that it hangs on for another day or so! I know that even if we tried on Monday and Tuesday that week, there’s a good chance that I could still fall pregnant if I ovulated on Thursday, but i’m really hoping that my period doesn’t come today, as it’ll make the whole cycle pretty bloody stressful with these tight timings. Could everyone please hope that my period hangs on for a few more days?! Come on body – help me out!!!! I’ve seen several ladies on the blogs recently who are really struggling with this journey. I’m sure that there are many others (myself included) who are managing to stay afloat but still have their moments and feel left behind, helpless and just sad. I find that when I’m upset, there’s not much that anyone can say to cheer me up – no success stories from other people about who’ve been through similar things, celebrity success stories, nothing. Everything basically feels like they’ve got their baby and I haven’t. It’s that simple. I saw this quote today and it just stuck with me – it basically reminded me why I continue with all of this. 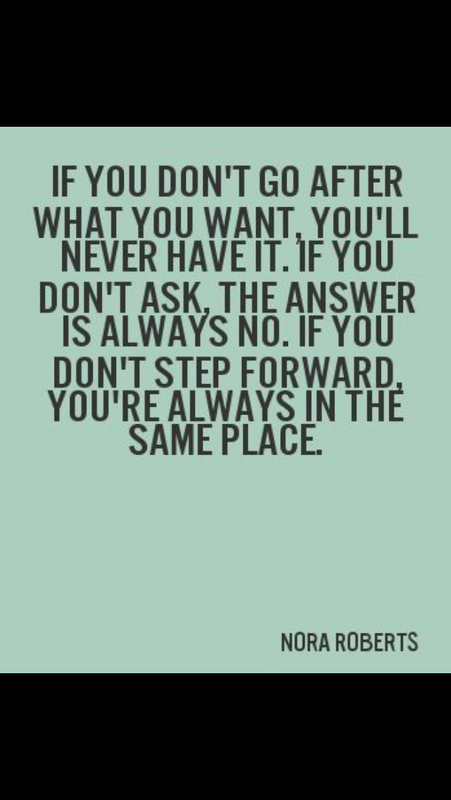 When I read this it made me remember that every step that I take, every tablet, injection, scan, loss, appointment, crying fit, cycle, is a step closer to what I want. There are days when I feel like I’ve achieved nothing, and days when I feel like I’ve got nothing left, but I carry on anyway, because I’m not ready to give up on my dream just yet. So for anyone who is really struggling today – take a little step. That might be taking a bath, having a good cry and going to bed early. It might be pestering your doctor for more tests. It might be looking at other options if the treatment/avenue you’re on just isn’t working for you. I often use the phrase ‘I’m plodding along’ when people ask me how I’m doing, as that pretty much sums me up on this journey. I’m a control freak planner in most areas of my life, but after 2.5 years on this journey, I’ve just taken to plodding now – slow, small steps, hopefully taking me to where I want to be. Maybe that’s the best way to be on this journey. Who knows. After I tested negative on Thursday, I gracefully accepted that I’m out this month and patiently waited for my period to arrive (it was due Saturday). Sadly, I’m still waiting…..
Any baby-crazy, peeing on a stick, ‘maybe I’m pregnant’ woman will know that this time – between knowing that you’re not pregnant and actually getting your period is without doubt, The. Longest. Time. Of. Your. Life. Ever. I can hear you all thinking – ‘but maybe you are pregnant?!’. Nope. Nada. Definitely Not. I’ve tested each day (cheap tests now – no more blowing £10 a day on Clearblue’s!) and not a sniff of a line. This is absolutely fine with me, I’ve accepted this month isn’t our month, but now we’d like to move on and start trying again please body – oh wait, you’re still hanging about……oh ok. Anyone with pcos is probably very used to this situation, as am I. As odd as it sounds, my right ovary is the worse of the two, and whenever I ovulate from the right side it’s always a funny cycle. Last month I blogged about an amazing 28 day cycle – a first for me – which was from my left ovary. This this month I ovulated from my right, which is why the fun is beginning now. I used ovulate tests and got a smiley face, which is great, but it might be the case that I actually didn’t ovulate at that time, if I did at all. Which is why I now have to hang around and see whenever my period decided to make an appearance. Pcos is a real bugger for this!!! It’s not all bad though! Next cycle we start Letrozole – which induces ovulation – and I’ll be scanned to make sure it’s actually working. This eliminates all of this situation as you definitely ovulate, so you know that your period will be coming on time. This cycle was always a bit of a warm up – get used to trying again, get used to taking the steroids – which is why I’m not feeling too bad. Next cycle is when it all starts again properly. I’m a bit down as you’d expect, but luckily I’m feeling that my period is going to come soon, so hopefully it will and we can move on to the next cycle. I don’t know about anyone else, but as soon as I get my period I’m totally fine, as we’re in a new cycle then, but that wait to get your period when you’ve tested negative is rubbish!! People always say that the little things in life make such a difference, and for me that’s totally true, as daffodils are now here again! I’d never been into flowers that much until my husband and I moved out to the countryside after we got married, but since then I always have flowers in the house and daffodils are my absolute favourites. 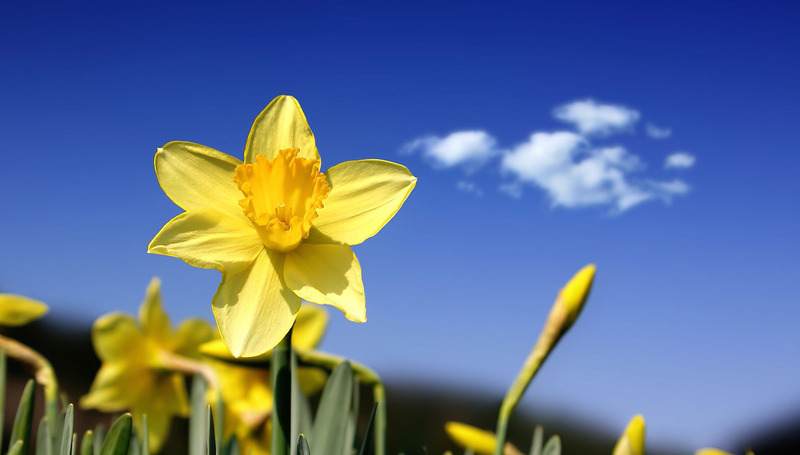 We lost our first baby during Christmas 2012 and the first couple of months after were the worst – freezing cold, miserable January – then towards the end of Feb, I bought myself some daffodils. It was such a simple thing, but seeing them bloom and bring a lovely warm glow into the room lifted my spirits more than I ever could have imagined. Since then, I’ve always loved having them in the house, as they remind me that the winter is ending, spring is here and better things are around the corner. I have some in our living room and they started to open up today, which made me smile despite the disappointing test. So now I wait to get my period, then start on Letrozole to induce ovulation, as my PCOS makes my ovulation a bit unpredictable to say the least. I’ve taken Clomid for this before, but it turned me into Angry Woman From Hell, so the doctor said that Letrozole does the same job but without the angry side effects – hurray! I’ve decided to live on the edge and have a glass of wine when I get my period, as I haven’t had a drink since before Christmas and after all the drugs I’ve been on I could really do with one! So thats something nice to look forward to for sure! …..and as expected, it’s a big fat negative! Even though I totally expected this, as im only 9dpo, it’s still horrible experiencing a negative test all over again. My rational head tells me it still might be good news, as I’m only 9dpo and have only ever got a positive at 12dpo before, but my hopeful heart was still aching to see that second line!! So now I take my last steroid for this cycle, wait a couple of days, then test again. I used the First Response test today, as that’s what the doctor recommended, but I think I’ll get the Clearblue Digital for later in the week. I just prefer seeing the result written down, rather than giving myself cataracts by squinting for so long trying to see a second line!!! I’ll keep you posted. I’d really forgotten how long and emotional this week is – so much possibility but so much disappointment as well. So I’ve almost survived my first cycle on steroids – hurray!! It’s day 9 today and I’m now managing to sleep through the night again, which is great. I’m still noticing that my heart rate is a bit faster and stronger than usual, but nothing too bad, and other than that I’m pretty much back to normal. As part of the treatment which I’m having, I have to take an early pregnancy test tomorrow. If it’s negative, then I stop taking my steroids and test again in a couple of days to see if its positive. If it stays negative, then I just wait until I get my period. If its positive, then I keep taking the steroids and arrange for an intralipid infusion asap. I’ve been pregnant three time before, and I’ve only ever got a positive test around 12dpo. Tomorrow will only be 9dpo, so I know that there’s no bloody chance that i’d get a positive, even if I was pregnant. 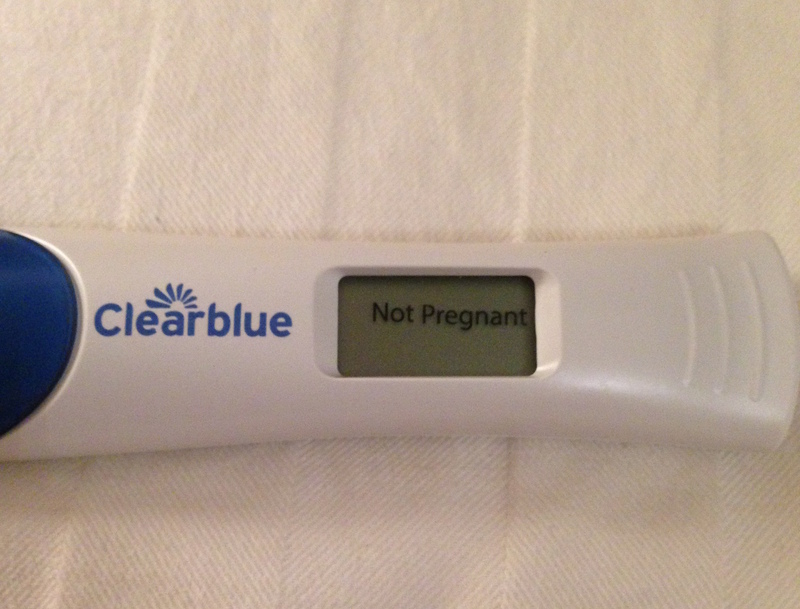 But still, this is the first test that i’ve taken in 6 months, so I have that familiar scared/excited/hopeful/sad feeling that I had before – hoping that I might be pregnant but knowing in reality that I’m probably not. You all know how it is!! I’ll let you know how it goes, but I haven’t got my hopes up just yet. I’m preparing myself for the worst in a few days, when I actually start to get a bit excited about it and then have to face the dreaded pregnancy tests. I’d forgotten what a bloody nightmare all of this is!!!!! Telling my boss all about this baby stuff…. Even though we’ve been trying for almost two and a half years now, i’ve never said anything at all to my boss about us trying, or the three miscarriages, or the treatments which I’m now on. I’ve thought long and hard about this as we’ve been through everything, but it just hasn’t felt right. Ive always hoped that the next time it would work, or things would get easier. It was also nice to be somewhere where people weren’t always asking how things were going with the baby making, or how I was feeling, or how brave I was to keep trying, etc etc – you know the drill. This week however, things reached a bit of a head. I started my steroids on Sunday and didn’t sleep at all on Sunday night, or Monday night. I only work part time (3 days a week) but I still had to email in to say that I wouldn’t be in on Monday as I hadn’t slept well, so i’d work from home instead, then I was off on Tuesday anyway. I hate taking time off, and I hate feeling like I’m taking the mick by not being at work, so even though it was a legitimate reason (I couldn’t possibly drive as I hadn’t slept!) I still felt bad. So I spoke to my husband and agreed that i’d tell my boss, which I did today. I’d tried not to build it up in my head, but I did feel nervous. I work for a small company and my boss and his wife both work there, and they are both lovely. I really couldn’t ask for more supportive, relaxed and kind people to work for, so I’m bloody lucky in that respect. This is another reason why I wanted to tell them, as I just don’t like keeping things from people who have been very good to me. So I just told them everything – that we’d been trying since we got married, that we’d lost three and that I was now having some pretty strong treatment to help me fall, and stay, pregnant. They were both shocked that I hadn’t said anything before, but both very supportive and said I could take whatever time I needed, just to keep them updated. This felt like a massive weight off my mind. I’ve worked through two long miscarriages whilst I’ve been there (I wasn’t working there when we had the first one) but I’ve really tried to soldier on and keep going, but it was great to finally just be honest and get it all out. I told them that I don’t really need anything to change, just that I might need to work from home sometimes, but other than that I should be fine. I can usually arrange my doctors appointments on my two days that I don’t work, so thats ok, but its mainly because the treatments can affect my sleep, so there will probably be times that I just can’t make it to the office. This is one of the tricky things about being a woman – if I had a bad leg or a bad arm, I could easily say what was wrong, but somehow its different when you’re trying for a baby, or losing one, and its a real shame. It somehow doesn’t feel as legitimate as having a ‘proper’ illness, even though mentally and physically it can be just as exhausting – and a lot of times with no cure or chance that it will all work out for the best. And there’s always the worry that as soon as your boss knows that you’re trying for a baby that they’ll think differently about you and your position in the company. Its sad to admit it, but I think its true. I’m really pleased that i’ve told them all about it now though, and i’m hoping that my treatments will even out and the side effects won’t be too bad anymore. It’s good to know that I can just be honest now and not have to put a brave face on or give other reasons for not being there, and I’m really happy that my boss was so kind about it all. I’d like to keep working as long as I can, as its good to have something else to occupy my mind a bit rather than all the baby stuff, so fingers crossed everything works out ok at work and with a baby!